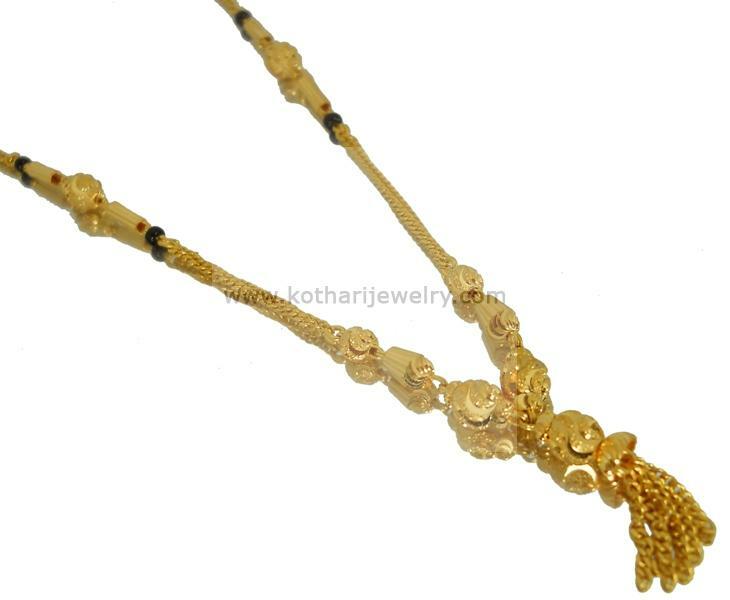 A very light weight and delicate office wear mangalsutra for daily wear. The gold mangalsutra is made of 2 lines of chains along with a dangling pendant. The mangalsutra is made in 22 K gold with 916 BIS hallmark.